Go Bananas for Peanut Butter! My kids love bananas or nanas as my 16 month old son Grayson calls them. Bananas are one of kids favorite fruits so why not go bananas with them! Everyday my daughter asks for a peanut butter and jelly sandwich for lunch, most days I give in and pair it with some fruits and veggies and she's happy. But the other day I decided to try something new. "Grilled Peanut Butter and Banana" sandwich, I saw this somewhere and I can't remember where but I thought why not. It was a good idea too, the kids loved it and I even have to say I kind of liked it! So easy to do too! Put Peanut Butter on both sides of bread. Then lay banana slices on one side of the bread, put the two slices together. Then heat pan (spray with Pam or use butter) grill just until golden on both sides! Your done and now you have a YUMMY sandwich! This is a perfect meal to have your kids help. (You may want to do the grilling part.) Your kids with love it! My daughter is always wanting me to make trail mixes for her and I always start by looking around for half empty containers of cereal, dried fruit and other small treats. That's how we came up with "Monkey Mix". My daughter came up with the name! It's dried bananas, Peanut Butter Cheerios, marshmallows and chocolate chips (or I think next time Chocolate Cheerios would be better and less messy!) Mmm...mm a fun mix that's a little sweet and so good! It's fun to try out new mixes. If you don't have everything make up your own mix using whatever you have on hand and have the kids help they'll have fun deciding what to put in their mix. Now last but not least Banana Ice Cream! Yah! 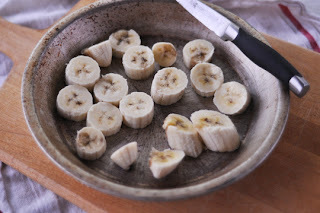 Put Bananas in a food prosessor, blend until smooth. Optional: Add peanute butter, honey, or chocolate! You are going to love this and the kids are going to have fun helping you! 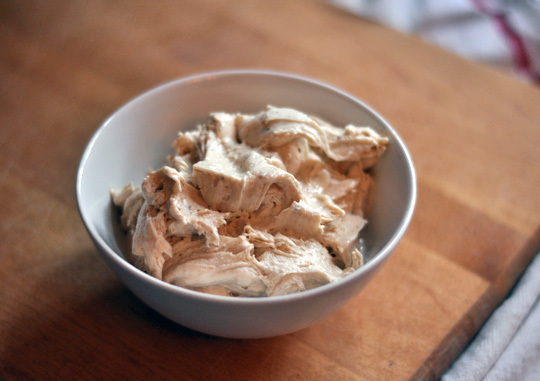 Our family loves ice cream and this is a great healthier alternative to buying ice cream. The best part is you can use up those old bananas you have sitting on the counter. Hope you like my Tummy Yummies!